After seeing something like this done in a rainbow arrangement for a wall, I decided it had to become a Christmas tree ornament! These are quick and easy. 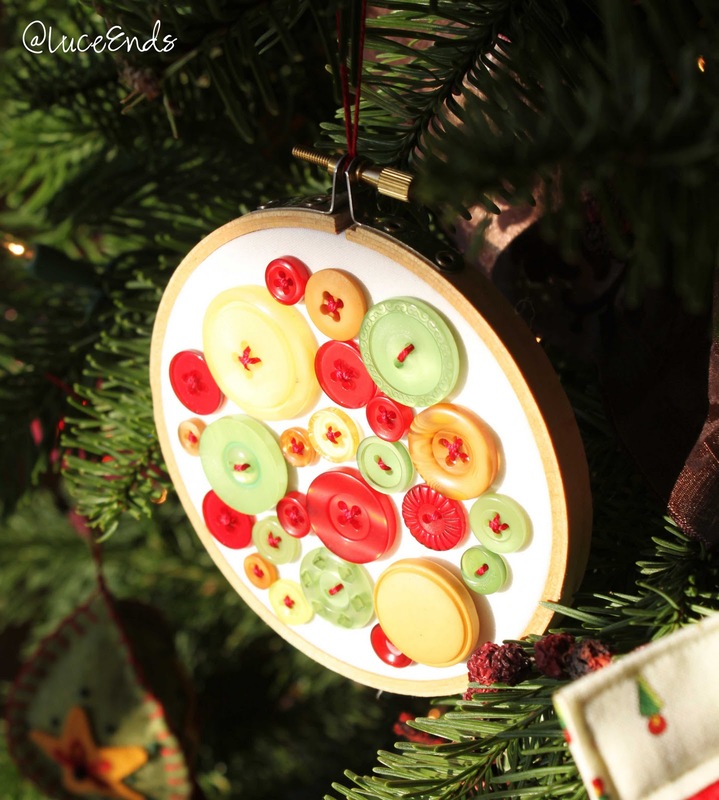 I made two of them in less than an hour. Fabric scraps - I used white cotton, but felt, flannel, or linen would work. Thread - Perle cotton works great! 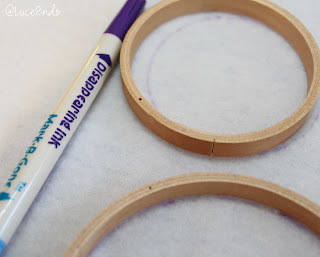 Use a marker (I prefer the disappearing kind) to trace the inner-most circle of your embroidery ring onto a scrap of felt, cut and save for later. 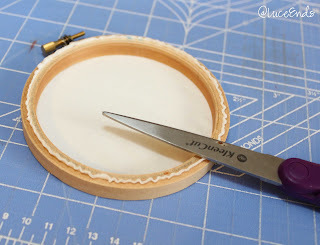 Lay 2 layers of fabric over the inner ring of your embroidery hoop. 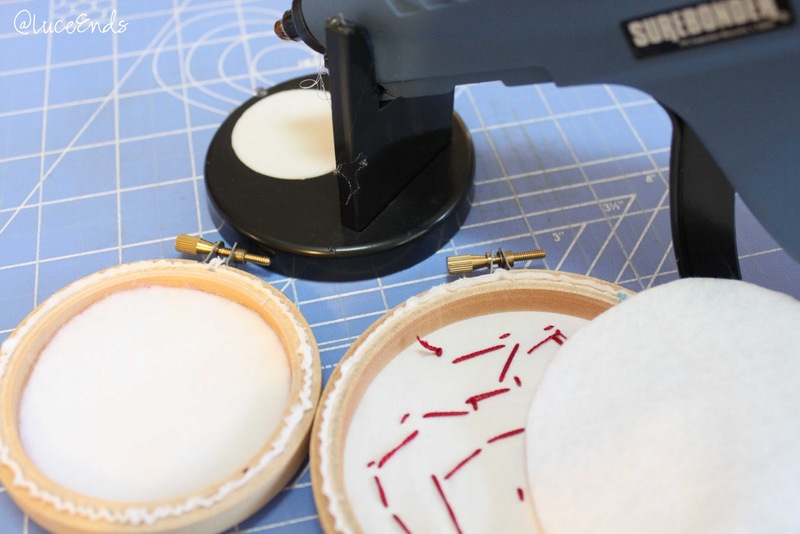 Slide the outer ring down and tighten the screw, making sure that the fabric is tight. 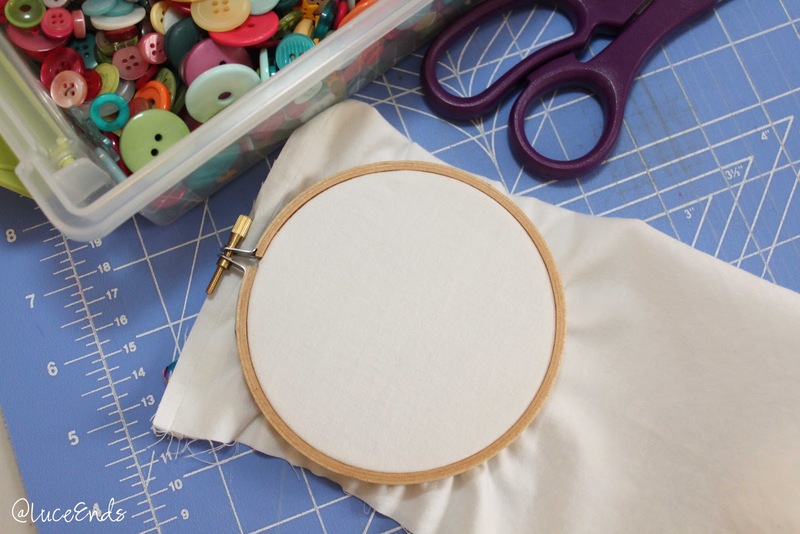 Cut the fabric as close to the hoop as you can on the back side. Lay your buttons out to determine how many you need and begin sewing them on. You may find you need one or two more as you go. 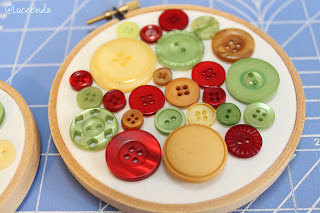 Once your buttons are sewn on, glue your felt backing piece over the knotty threads. 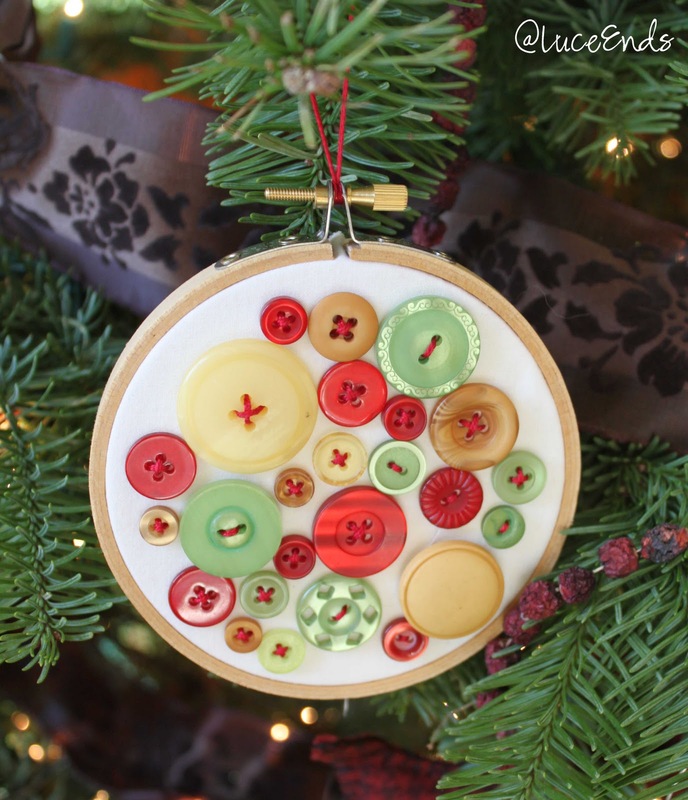 Attach a ribbon, yarn, or hanger to the screw and add to the bling on your tree!